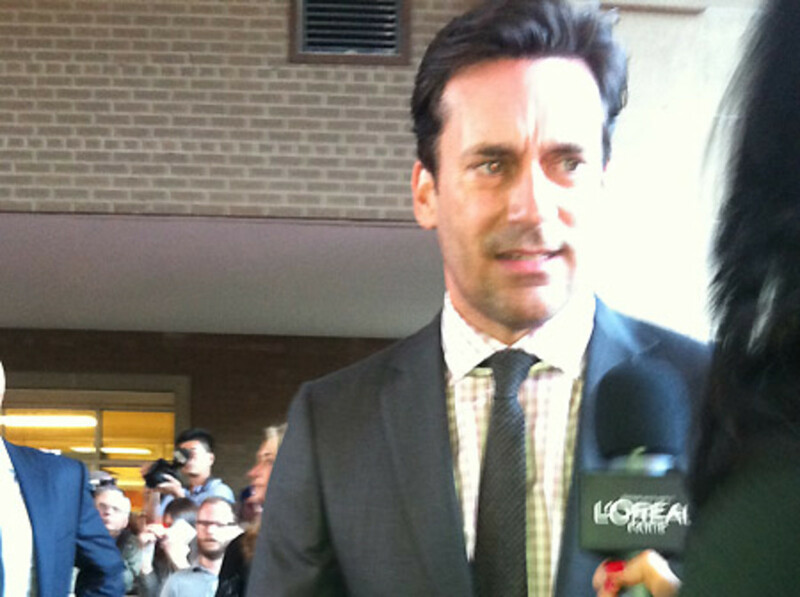 On the "Friends with Kids" red carpet at TIFF 2011, we get Jon Hamm to talk about his hair and hair envy. On the red carpet for Friends with Kids last night, Jon Hamm told me he has "terrible hair." The only reason it looks good on "Mad Men," he insisted, is that "it never moves." "Uh yeah, oh I hate my hair, it&apos;s terrible hair," he confessed when asked if he&apos;s ever had hair envy. More L&apos;OrÃ©al Paris beauty coverage to come, via video. Stay tuned! Check out the L&apos;OrÃ©al Paris Facebook page for more, and follow @L&apos;OrealParisCAN for the tweeting action and some photos from TIFF so far. Am considering wearing a glove on my right hand to protect the Hamm-shake imprint. L'Oreal ParisTIFF 2011Jon Hammcelebrity beautyTIFF Chats!